I have recently come to the conclusion that content developers who design 3D educational software can learn a lot from creative 3D stereographers and cinematographers. 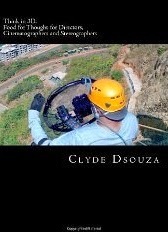 I took the time during a recent trip to picturesque Fajardo, Puerto Rico to finish my copy of Clyde Dsouza’s Think in 3D: Food for Thought for Directors, Cinematographers and Stereographers (2012). A stereographer and a 3D consultant, Dsouza is not an educator, yet his musings warmly resonate with my thinking as an educator in terms of what matters about great 3D educational content. Reading Think in 3D made me ask myself the obvious question: “Why are some 3D educational content pieces so very superlative, while others appear tired, tedious, and ho-hum?” Dsouza’s book holds many of the keys that will help answer this question. Based on the thinking of Dsouza, in the next few posts I intend to highlight some of the reasons why certain educational stereo 3D (eS3D) titles are great, while others are lacking. Understanding these principles can help anyone in this market (content developers, hardware manufacturers, resellers, writers, and consultants) do a better job of reaching and keeping their customers. And understanding these ideas can help educators know what to ask for in 3D, what will work the best with students. The annual ISTE conference is rapidly approaching, convening this year in Atlanta. 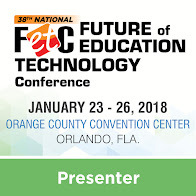 Besides the 3D Network events mentioned in last week's post, there are many other exciting 3D things happening at this large ed-tech conference. 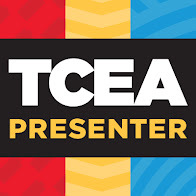 The upcoming ISTE conference has currently scheduled twenty-one 3D-related presentations in their slate of sessions. Of these, five sessions feature Rendered-3D solutions; six sessions highlight 3D printing; five sessions showcase 3D design in education; and five sessions specifically focus on stereo 3D in education. Traditionally offering only a few sessions a year, this session expansion at ISTE represents the largest increase in recent history. 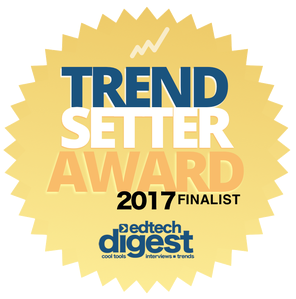 In other news, Holli Hillman (see Best 3D Educator in the U.S.) will be presenting jointly with me for Depth-defying Learning: the top 10 new developments in educational 3D on Monday, June 30, 1:15 pm - 3:15 pm (GWCC Murphy Ballroom Galleria, Table 24). Preliminary details indicate that 3D design (3D Gamelab, Autodesk, and Realalusion), 3D visualization (DesignMate, Lumens, CubeDigiCo, Sterling Pixels, and zSpace), and 3D printing (Makerbot and Stratasys) will be there in force. Also, AV Rover will be exhibiting. This is an open house for all ISTE conference attendees to investigate various Professional Learning Networks. The 3D network invites attendees to visit their booth and mix with each other and potential new members. This is the official 3D Network meeting, which will incorporate a variety of activities: getting acquainted, a 3D Network overview, teacher poster sessions*, and breakout sessions by interest. We want to remind vendors that we will have a dedicated table to display (without cost) any sales material you would like to make available. Just bring your materials personally to any of the executive board members prior to the start of the event. If any manufacturers have items or resources they would like to make available for our educator raffle, please contact us here. *Please note that the 3D Network is soliciting teacher poster presentations (on stereo 3D or 3D printing) to be conducted in the meeting during a 15-20 minute rotation period. Vendors are encouraged to sponsor talented classroom teachers or professors to attend and present at this event. Only educators may present, however. Submit your proposals or questions here. Let’s conclude our series on Learning Efficiency (when teaching using 3D) with a few crucial takeaways. Learning efficiency is easy to track, document, demonstrate, and report. 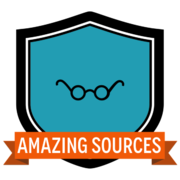 Research projects, pilot projects, reference sites, or case studies can easily collect quantifiable data on learning efficiency. 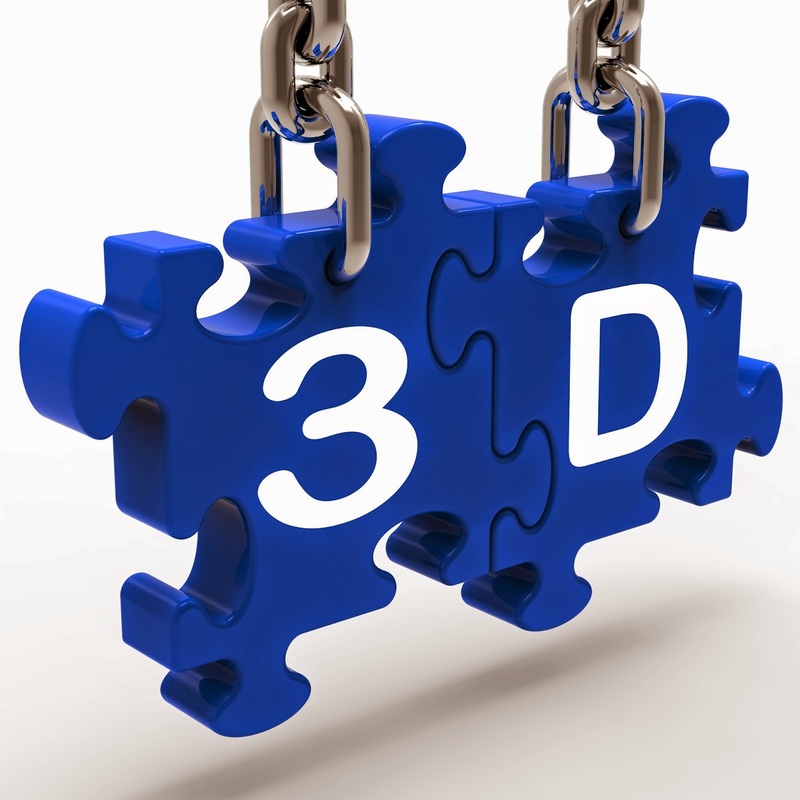 Sadly, those involved in promoting 3D in the classroom—hardware manufacturers, content providers, integrators, and resellers—are more interested in conveying the “wow factor” or “student engagement” benefits of 3D instruction than demonstrating the solid benefits of learning efficiency. Plucking the low-hanging fruit of “retention” also seems popular with many 3D companies or school projects. But why settle for anecdotal evidence, folksy stories, or meaningless retention data? I am simply suggesting that folks will impress, attract, convince, and sell to far more leaders, decision makers, or teachers if they remember the value of learning efficiency when they design or implement planned 3D pilot projects, case studies, and rollouts. What do you think? After reviewing last week's post, what do you think educators actually say about “chasing efficiency” when using 3D in instruction? Below are a few insights on this topic. Whether the technology’s use frees up instructional time, or it enables the learners to cover more ground, learning efficiency matters because time is the scarcest resource in schools. Time is at the top of every teacher’s list of needs. Number one. Period.